Ocean view modern and spacious fully self contained 1 Bedroom Apartment with full kitchen, lounge, laundry, ensuite bathroom and balcony. Wireless internet, LCD TV, free movie and sports channel, lift access and under cover parking. Rates are for 2 people. The room caters for a maximum of 2 adults, and a maximum of 1 child but cannot exceed 2 guests in total. High Floor (Level 3-5) Ocean view modern and spacious fully self contained 1 Bedroom Apartment with full kitchen, lounge, laundry, ensuite bathroom and balcony. Wireless internet, LCD TV, free movie and sports channel, lift access and under cover parking. Rates are for 2 people. The room caters for a maximum of 1 adult, and a maximum of 1 child but cannot exceed 2 guests in total. Ocean view modern and spacious fully self contained 2 Bedroom Apartment with full kitchen, dining, lounge, laundry, main bathroom, ensuite bathroom and balcony. Wireless internet, LCD TV, free cable channels, lift access and under cover parking. Rates are for 4 people. Extra adults $40.00. Extra children $40.00. The room caters for a maximum of 5 adults, and a maximum of 4 children but cannot exceed 5 guests in total. 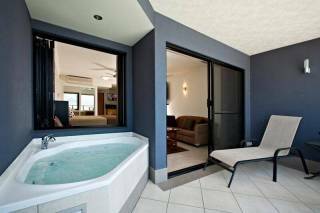 Ocean view modern and spacious fully self contained 1 Bedroom Spa Apartment with full kitchen, lounge, laundry, ensuite bathroom and balcony with Jacuzzi. Wireless internet, LCD TV, free movie and sports channel, lift access and under cover parking. Rates are for 2 people. The room caters for a maximum of 2 adults, and a maximum of 1 child but cannot exceed 2 guests in total. High Floor (Level 3-5) Ocean view modern and spacious fully self contained 2 Bedroom Apartment with full kitchen, dining, lounge, laundry, main bathroom, ensuite bathroom and balcony. Wireless internet, LCD TV, free cable channels, lift access and under cover parking. Rates are for 4 people. Extra adults $40.00. Extra children $40.00. The room caters for a maximum of 5 adults, and a maximum of 4 children but cannot exceed 5 guests in total. High Floor (Level 3-4) Ocean view modern and spacious fully self contained 2 Bedroom Spa Apartment with full kitchen, dining, lounge, laundry, main bathroom, ensuite bathroom and balcony with Jacuzzi. 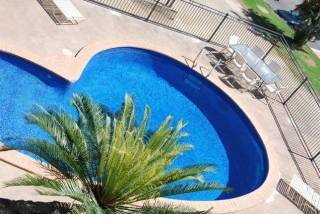 Wireless internet, LCD TV, free cable channels and lift access. Rates are for 4 people. Extra adults $40.00. Extra children $40.00. The room caters for a maximum of 5 adults, and a maximum of 4 children but cannot exceed 5 guests in total. Top Floor Ocean view modern and spacious fully self contained 3 Bedroom Apartment with full kitchen, dining, lounge, laundry, main bathroom, ensuite bathroom and balcony. Wireless internet, LCD TV, free cable channels and lift access. Rates are for 6 people. Extra adults $40.00. Extra children $40.00. The room caters for a maximum of 7 adults, and a maximum of 6 children but cannot exceed 7 guests in total. Our award winning restaurant [closed throughout October] is a boutique restaurant that offers tropical seaview dining over looking Airlie Beach and the azure Whitsunday islands. Located poolside our restaurant offers personalised service and attention to detail. Terms & Conditions Deposit equivalent to the full first nights accommodation applied at time of booking, once deposit applied booking is confirmed. Please settle your account on arrival. Please note AMEX attracts a 2% surcharge. Advance Purchase / 74 Hour Sale deposit equivalent to the total accommodation applied at time of booking, once payment applied booking is confirmed. Please settle your account on arrival. Please note AMEX attracts a 2% surcharge. A credit card is required at check in as security against damage / unpaid accounts or a $200 cash bond and photo identification to be held if credit card not available. 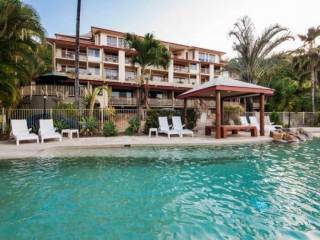 Schoolies : Waters Edge Resort is not part of the Schoolies program. 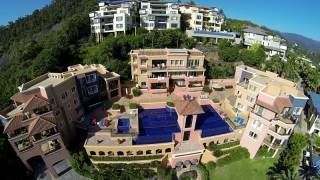 Please Note : Waters Edge Resort is fully self contained self catering accommodation, daily servicing is not provided. We do provide on your arrival a starter pack in your apartment consisting of tea, coffee, milk, toilet tissue, soap and shampoo along with bed linen, bath towels, bath mat and tea towel. All other personal items should be brought with you. Beach / Pool towels are available for hire. Fantastic February Bookings: Standard deposits will apply. For 1 night only bookings deposits will be manually lowered by the voucher amount. PLEASE NOTE : For the enjoyment of all guests, Waters Edge Resort enforces a strict NO PARTY POLICY. CANCELLATION POLICY : In the event of cancellation, deposits will be refunded less a $50 clerical fee if 30+ days notice is given. There will be no refund for cancellations made with less than 30 days notice. Once a booking has commenced, no refunds will be given on any unused portion of stay remaining. No Shows will result in full accommodation amount being charged to the credit card. CANCELLATION POLICY ADVANCE PURCHASE / 74HR SALE : Cancellations or changes to bookings for advance purchases will not be permitted for any reason. Once confirmed a booking cannot be refunded or altered in any way.